Lightweight, highly configurable, platform agnostic, delivered as a source code IEC 61850 library for embedded devices. IEC 61850 is an international standard describing data model and communication services for power grid devices also known as IEDs (intelligent electronic device). Main protocols specified by the standard are MMS (Manufacturing Message Specification), GOOSE (Generic Object Oriented Substation Event), and SV (Sampled Values). Beside generic functionality of power systems, IEC 61850 defines profiles like 61850-7-420 for distributed energy resources (DER)) or hydroelectric power plants which are defined in IEC 61850-7-420. IEC 61850 library by JPEmbedded exhibits object-oriented design and is implemented in C ++ language. This hardware platform independent solution, is easy to integrate on any device with or without operating system. Other advantages of our product are its high configurability in terms of functionality and resources used, and very low memory footprint which is especially important for embedded devices. Depending on data model and functionality of the specific device memory usage could be as low as 240kB of Flash and 150kB of RAM. Library supports 2nd edition of the standard. 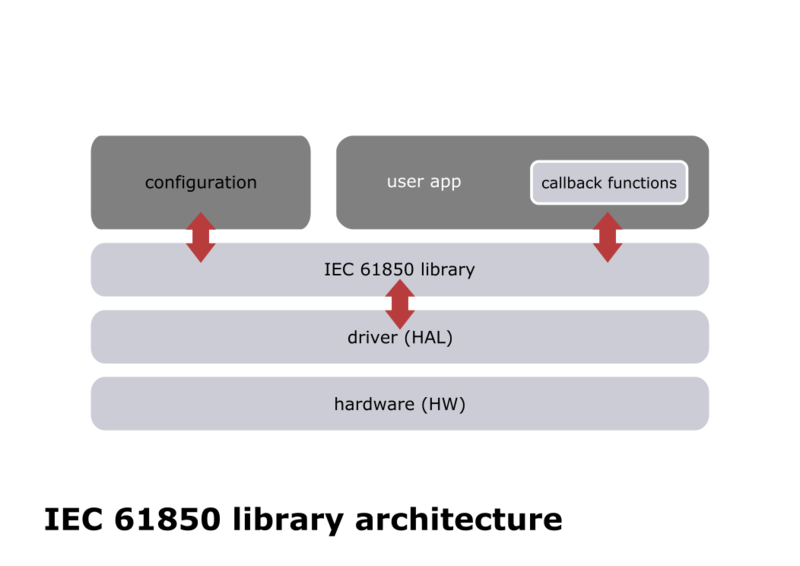 The main components of the solution are: IEC 61850 core library, hardware abstraction layer (HAL), configuration module and user application (please refer to the ‘61850 library architecture’ picture in the product gallery below). Core library implements bulk of the functionality specified by the standard. It handles data model initialization and access APIs, handling of data sets, control blocks and control model. Hardware Abstraction Layer (HAL) also known as ‘driver’ provides abstraction of hardware platform and operating system (if used). This layer implements well defined API used by the core library for handling TCP/IP connections, transmission of Ethernet frames, thread creation and synchronization, timers and file system access. Configuration file configures library to meet the needs of specific device or application. User application realizes logic specific for given device (e.g. protection relay or merging unit functionality). User application is a top level component, usually implemented by the customer. 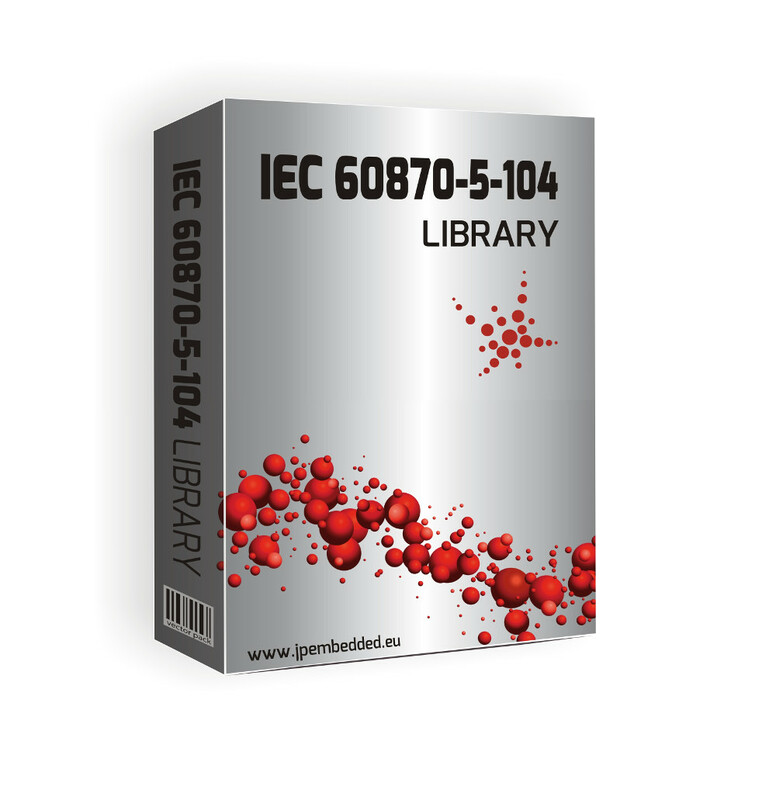 It initializes IEC 61850 library and defines user specific callback functions. Library is delivered as a source code and it features royalty-free licensing model. Sampled Values (subscriber & publisher). Compliance of JPEmbedded’s library with EN 61850 standard has been confirmed by a certificate issued by Instytut Energetyki in Gdańsk. The certification process was implemented thanks to the European Regional Development Fund. IEC 61850 has been created by IEC Technical Committee 57 which is responsible for development of standards for information exchange for power systems and other related systems including Energy Management Systems, SCADA, distribution automation & teleprotection. Inter-Control Center Communications Protocol (ICCP) also known as TASE.2 is the standard that defines communication between control centers, utilities and power pools. Since TASE.2 and IEC 61850 both use the MMS communication protocol, a significant part of the source code is shared by both products. The library architecture is comprised of a core component, which implements functionality defined by the standard and platform abstraction layer (aka ‘driver’). Using this approach, the library can easily be ported to different platforms. Currently, Windows (7, 8, 10) and Linux are supported. The library design is object oriented, C++ was used for implementation, but C or Java language API could be provided if requested by the customer. JPEmbedded’s solution supports both the server and client side of communication. An encrypted secure channel based on TLS protocol in accordance with the IEC 62351 standard is also an option. JPEmbedded’s IEC 61850 Gateway enables communication between the Intelligent Electronic Devices (IED’s)operating in IEC 61850 networks and other devices which do not support this standard. It converts the most popular protocols like Modbus, 60870-5-103, 60870-5-104, DNP3, MQTT, Profinet to IEC 61850. 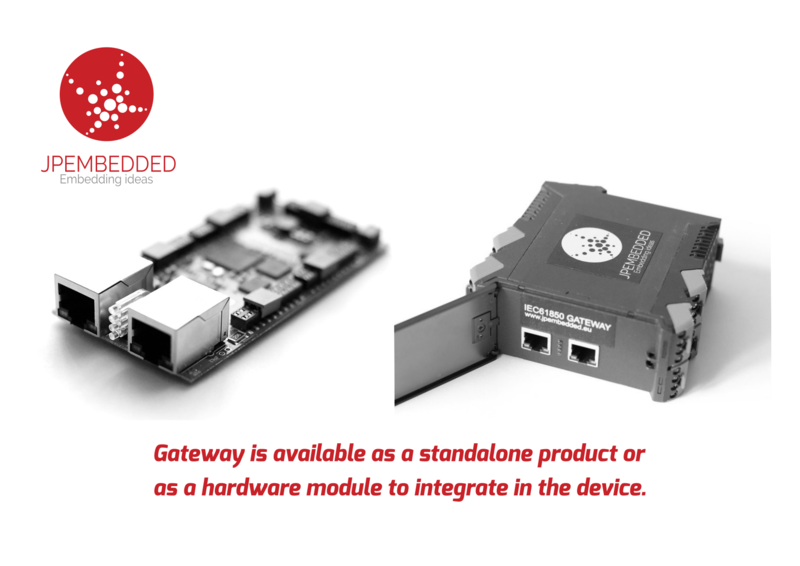 Gateway may be ordered as a standalone product, easily mountable at din-rail or, as a hardware module to integrate in the device. IEC 61850 is an international standard describing data model and communication services for power grid devices. IEC 61850 improves interoperability between systems provided by diverse manufacturers. 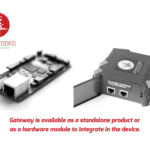 If you would like to know more about our IEC 61850 gateway you can download product datasheet here. 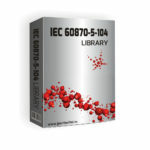 The IEC 60870-5-104 is an international standard, released in 2000 by the IEC. The standard enables communication between a control station and substation via TCP/IP network. The application layer is based on the IEC 60870-5-101, and the communication on the client-server model. Implementation of the 104 library offered by JPEmbedded includes server-side functionality. It is implemented in C++ in a way that allows it to be easily integrated into various hardware platforms with or without any OS. High configurability allows decreasing the size of the client’s executable, as only the selected subset of ASDUs enters the binary. The IEC 60870-5-103 is a companion standard for power system control and associated communications. The standard enables interoperability between protection equipment and devices of a control system in a substation. 103 defines communication for serial, unbalanced links only. The standard was introduced by the IEC in 1997. JPEmbedded’s implementation of IEC 60870-5-103 includes both server and client-side functionality. The library is platform independent and can be integrated on different targets, including bare-metal. The library is implemented in C++. The key to a successful software application is to use high quality software with verifiable development that ensures a stable, low-risk code-base. Many embedded solutions use networking software based on open-source developments such as FreeBSD. HCC has developed all code with no third party or open source content using a structured software development process. TCP/IP stack was developed with a no compromise approach to quality using a strongly typed subset of the ‘C’ language. The approach incorporates a strong adherence to MISRA* compliance and was validated using advanced verification tools. With the benefit of more than a decade’s experience developing efficient, high-quality software the stack brings new levels of performance, verifiable quality and reliability to the embedded networking market. Networking stack provides a significant range of protocols as well as support for both IPv4 and IPv6, providing flexibility and long-term network compatibility. For more information, licensing details, price quotation requests, please contact us via contact form or directly: sales@jpembedded.eu, +48 601 088 970. 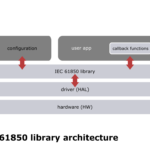 HCC networking and security software is developed for embedded controllers and contains no open-source or third-party content. HCCs encryption technology can be used to protect data stored on any flash device. Secure encryption solutions can be easily integrated with fail-safe file systems thanks to HCCs AEF software framework. CryptoCore™ is the main encryption and security library, managed through HCC’s Embedded Encryption Manager (EEM). EEM provides a universal, high quality standard interface to any hardware or software cryptography implementation. This greatly simplifies the design process, makes software portable and allows use of either CryptoCore libraries or hardware accelerated algorithms on chips which provide them. Offered software is all developed within an portable framework, called AEF, according to HCC’s internal coding rules. It allow us to deploy different solutions on any MCU, RTOS or tool-chain. The software is implemented with the strictest coding standards using MISRA with no rules excepted. Any exceptions are done one at a time, signed off and explained in the documentation. A full MISRA compliance report generated by LDRA tools is provided. In addition, many of components are available with detailed design documents, static and dynamic analysis and other quality life-cycle evidence. Thanks to HCC’s modular Embedded Encryption Manager (EEM), all of software can seamlessly switch between running CryptoCore software or using MCU hardware acceleration without any code changes. The EEM provides a standard, efficient, MISRA-compliant interface to manage all crypto functions. HCC’s Transport Layer Security (TLS) or Datagram Transport Layer Security (DTLS) is a highly optimized software module designed to provide secure network communications for embedded devices. The software is developed using a rigorous adherence to MISRA C:2004 and is available with a full MISRA compliance report. The importance of using a strong development process and source code control has been emphasized by a number of high-profile security problems caused by source code errors. Network security requires a high degree of quality and traditional methods of ‘freestyle coding’ and test do not provide sufficient guarantees of correctness. Offered TLS/DTLS is a framework for secure communication in computer networks, based on the TCP/IP or UDP protocols. The module supports Secure Sockets Layer (SSL) 3.0 but this is deprecated as TLS 1.2 is the recommended standard. The TLS and DTLS module forms part of HCC’s MISRA-compliant TCP/IP stack and is designed specifically for use with it. TLS interfacing to either HCC’s MISRA-compliant TCP or to a TCP Sockets interface. DTLS interfacing to either HCC’s MISRA-compliant UDP or to a UDP Sockets interface. Note: You may not require all three of the above capabilities for all use cases; We can advise on this. The module uses HCC’s Embedded Encryption Manager (EEM) to provide encryption and certificate management. The TLS RAW interface can be used to interface TLS to HCC’s EAP-TLS module. MISRA-compliant. A full MISRA compliance report is provided and, for specialized applications, a full UML description is available that can be licensed as a separate component. Supports all the algorithms supported by the EEM, including AES, 3DES, DSS, EDH, MD5, RSA, SHA-1, SHA-256, SHA-384, and SHA-512. These acronyms are expanded below. Message Digest Algorithm 5 (MD5). Tiger/128, Tiger/160, Tiger/192 and Tiger/192 HMAC. Triple Data Encryption Standard (3DES). We provides class drivers for RNDIS, CDC-ACM, CDC-EEM, CDC-ECM, CDC-NCM, CDC-OBEX, CDC-FTDI, and Raw.